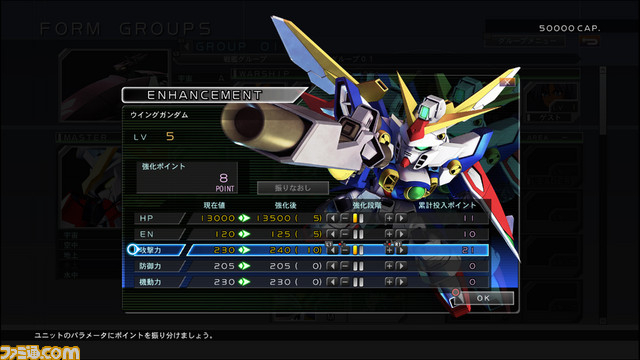 SD Gundam G Generation Cross Rays got new details on its game systems published by Famitsu. First off, we’ve got the squad system. Squads are made up of 4 units, with one acting as a leader. 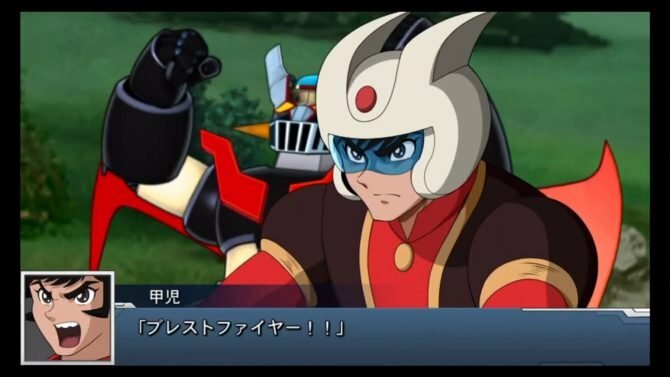 Like in past SD Gundam G Generation games, any character can pilot any mecha unit and there are no restrictions. You can also make a squad with characters and units from different series, allowing you to use all your favorite characters. 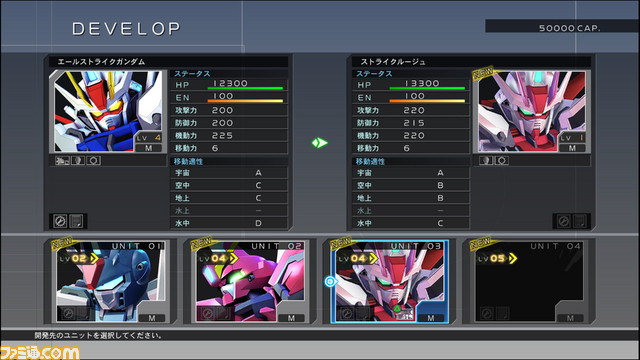 Next, we’ve got the unit upgrade system. As you upgrade units and level them up, you’ll make them “grade up” and unlock new units. Even grunt units are worthwhile, as using and upgrading them will unlock new powerful Gundam units. Next is the game’s story. 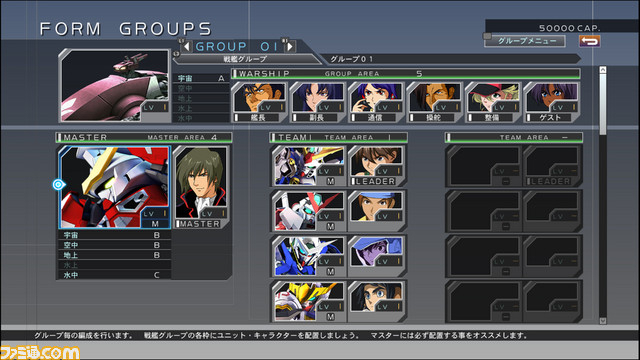 It lets you follow the story of each of the four main Gundam series in the game: Mobile Suit Gundam Wing, Mobile Suit Gundam Seed, Mobile Suit Gundam 00 and Mobile Suit Gundam: Iron-Blooded Orphans. Some of the spin-offs’ stories are included as well. The most famous scenes of each story are voiced, and all battles are voiced as well. However, unlike what we previously reported, the game has no crossover scenarios with stages mixing all four series. Here’s the game’s full series list, with the entries without stars meaning only units and characters from these series will appear, but with no stage based on their scenarios. 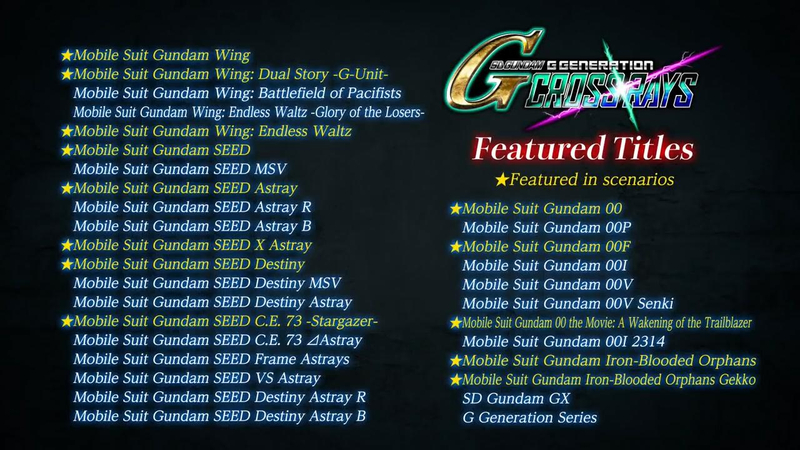 As for the stages themselves, SD Gundam G Generation Cross Rays is a strategy RPG similar to Super Robot Wars but with many differences. Most missions will require to field the proper units depending on your strategy, terrain and to defeat all enemies. 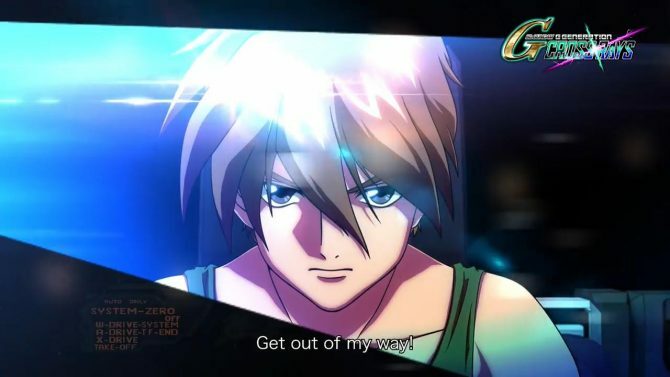 SD Gundam G Generation Cross Rays was announced a few days ago with a first trailer. 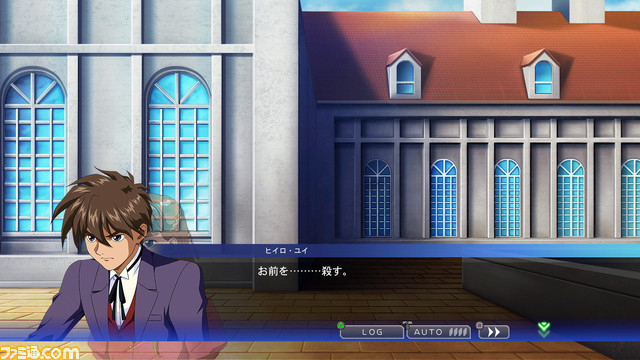 New gameplay for the game was shown at Taipei Game Show 2019, with Soichiro Hoshi/Kira Yamato playing the game live and Rie Tanaka/Lacus Clyne encouraging him. You can find the video below. 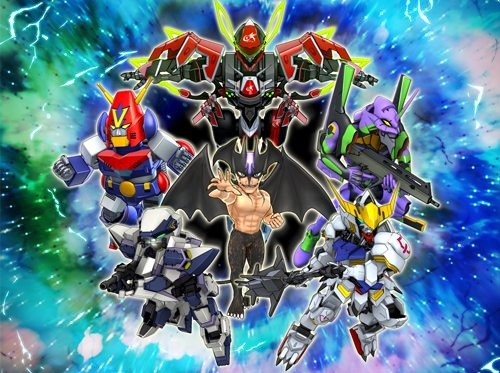 Bandai Namco Entertainment will release SD Gundam G Generation Cross Rays in 2019 for PlayStation 4, Nintendo Switch and PC via Steam. 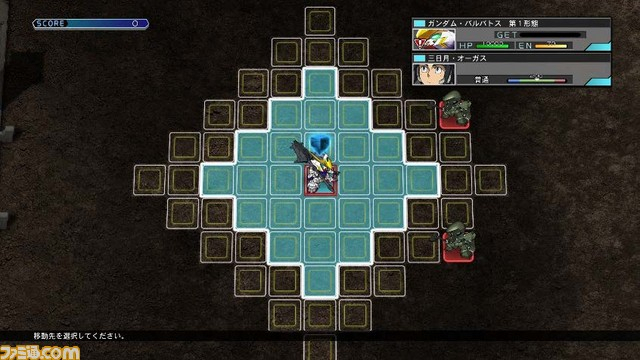 Moreover, the game will receive an English version through its Southeast Asia release. The English version isn’t surprising as the previous game, G Generation Genesis, was in English as well, but the fact that it’s coming to Steam is a huge deal. 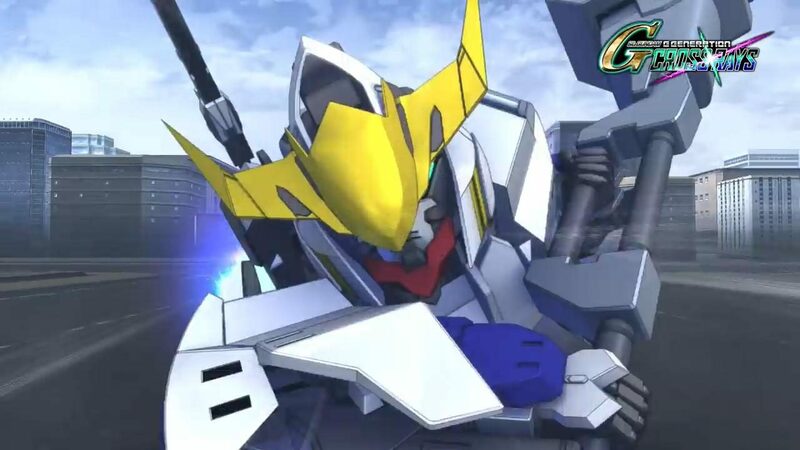 Bandai Namco announced with a trailer SD Gundam G Generation Cross Raise will release in English in 2019, for PS4, PC and Steam.